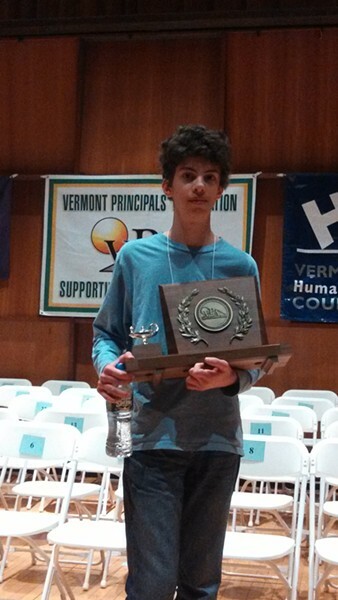 The South Burlington eighth grader was crowned Vermont Spelling Bee champion on March 19, clinching the title by correctly spelling the word "pogrom" — which means an organized massacre — in the 26th round. In May, he'll travel to Maryland to compete in the Scripps National Spelling Bee, where he'll be the only competitor from Vermont. 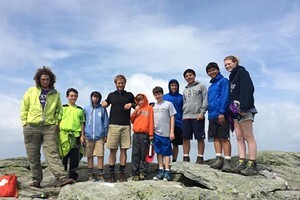 Kids VT asked Lustberg about his experience. Kids VT: Have you always been a good speller? Lustberg: I’m not really sure. I didn't really get into spelling until last year when I joined the spelling team at my school. I just heard about it on the school announcements and thought, “Hey, that might be fun. I think I’ll try it.” I've always really enjoyed vocabulary and writing and reading. Lately I've been really into dystopian fiction, like 1984, Animal Farm, Divergent and The Hunger Games. Kids VT: How did you prepare for the state bee? Lustberg: A month before the competition, I started practicing from a list of about 1000 words from the Scripps website. My parents quizzed me on the words by reading them out loud to me and then we would go over the ones I made mistakes on. I practiced 15 minutes during dinner. Eventually we got every single word done. Kids VT: Did you go into the state bee thinking you had a chance of winning? Lustberg: I thought I had a chance, but I didn’t really think I was going to win. I thought I was going to do reasonably well. Kids VT: How did it feel to actually win? Lustberg: It honestly felt a little surreal. When I won I was actually thinking, Is this happening? I was pretty happy, of course, and pretty pleasantly surprised. Kids VT: What will happen at the National Spelling Bee? Lustberg: The first thing you have to do is take a written test. They eliminate almost everyone. The likely thing is, I'm not going to make it on the written test. There are people who have studied for the spelling bee since first or second grade. Maybe if I get lucky, I'll participate in the verbal competition. But there's only a 15 percent chance that will happen.